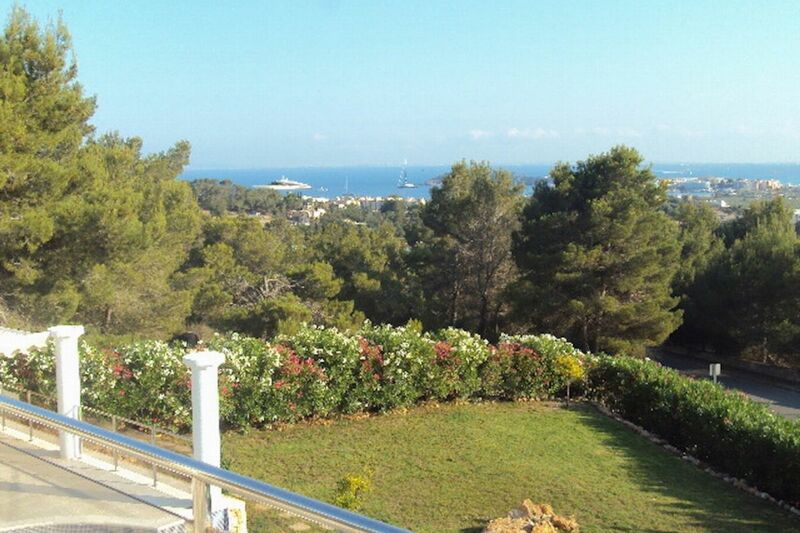 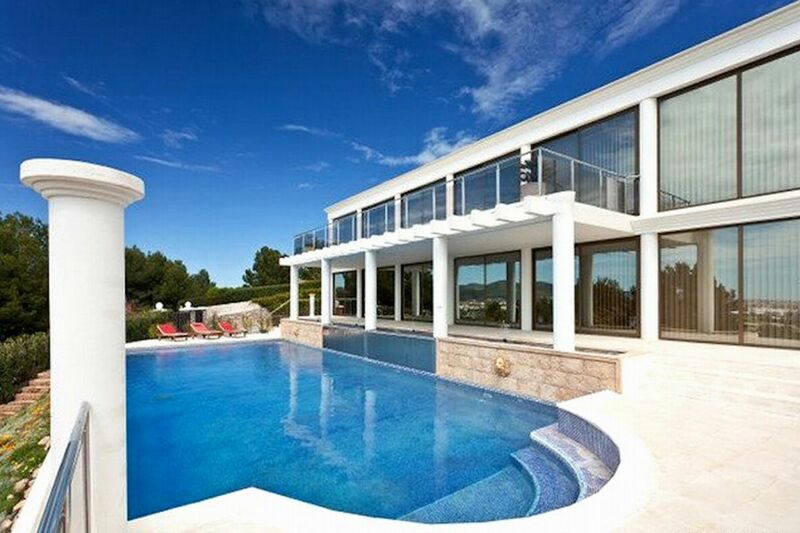 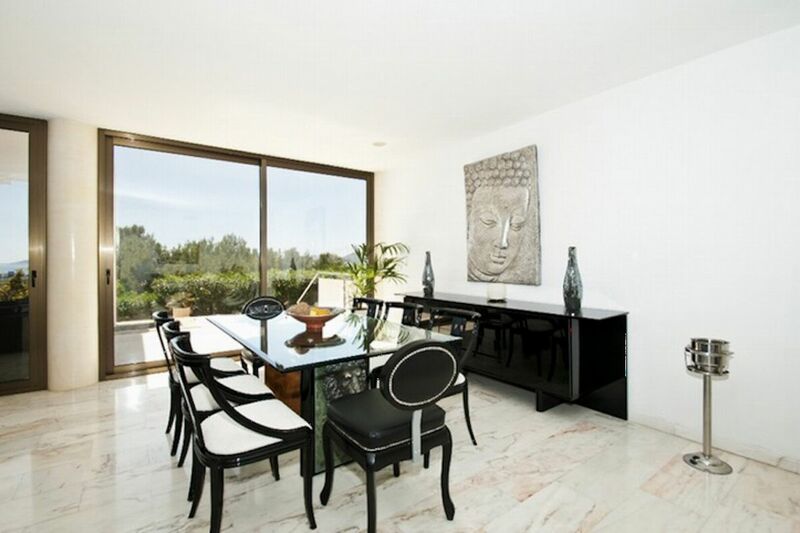 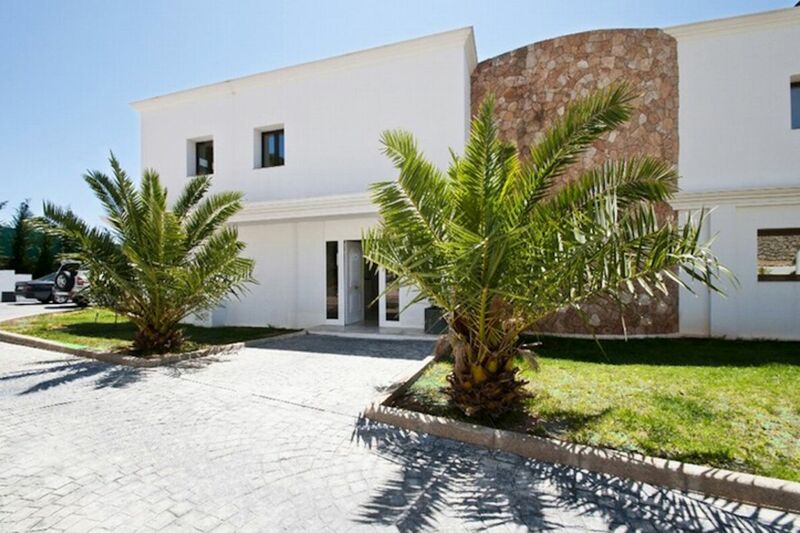 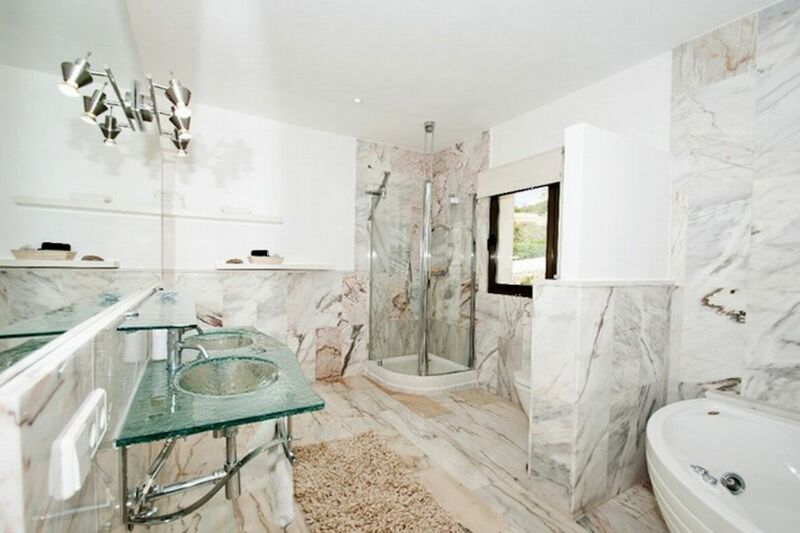 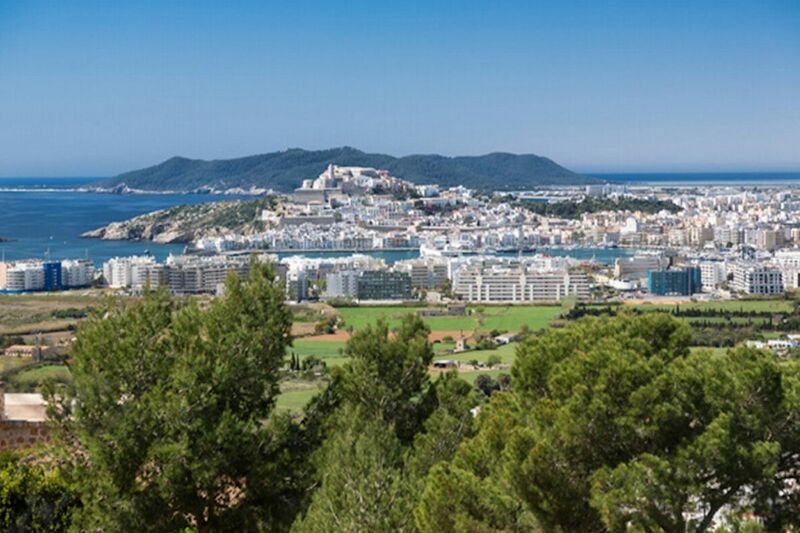 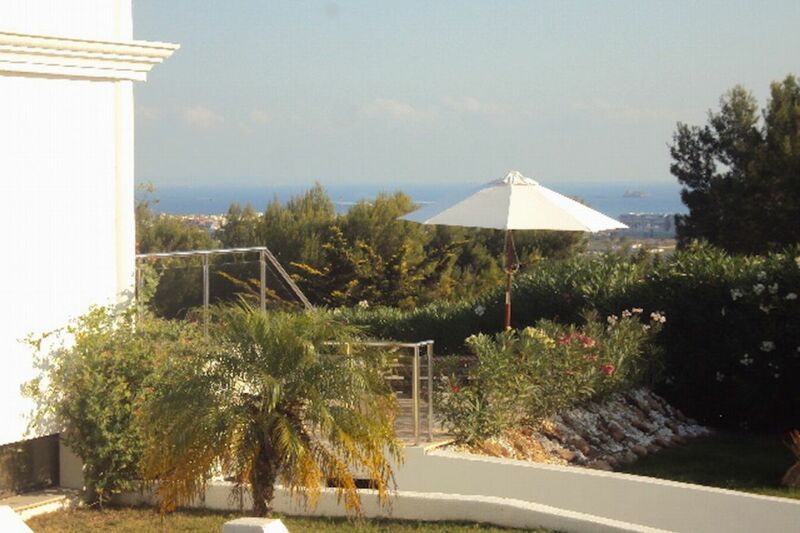 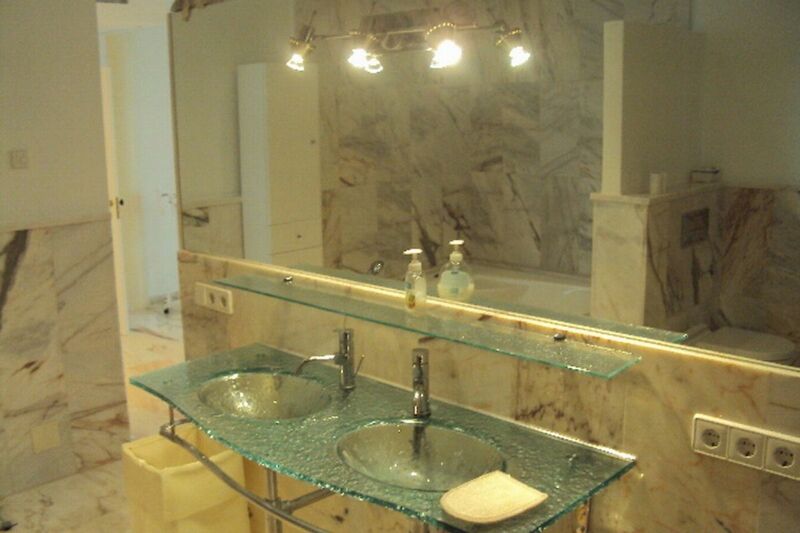 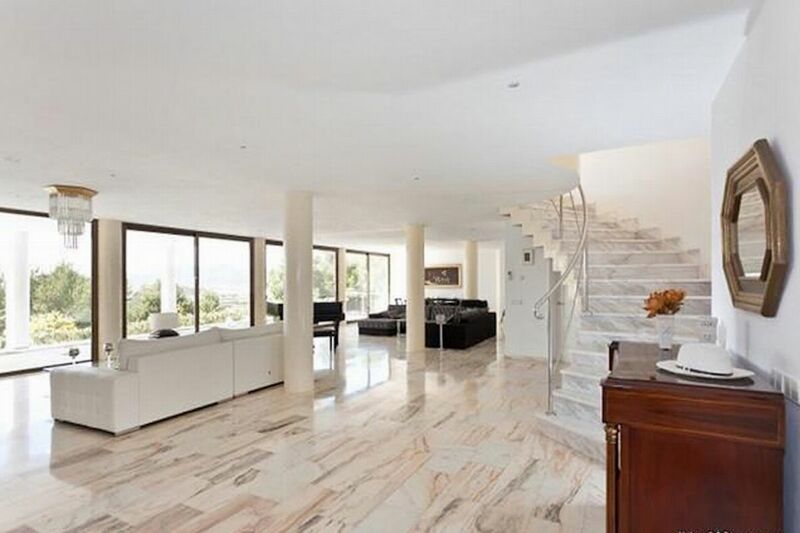 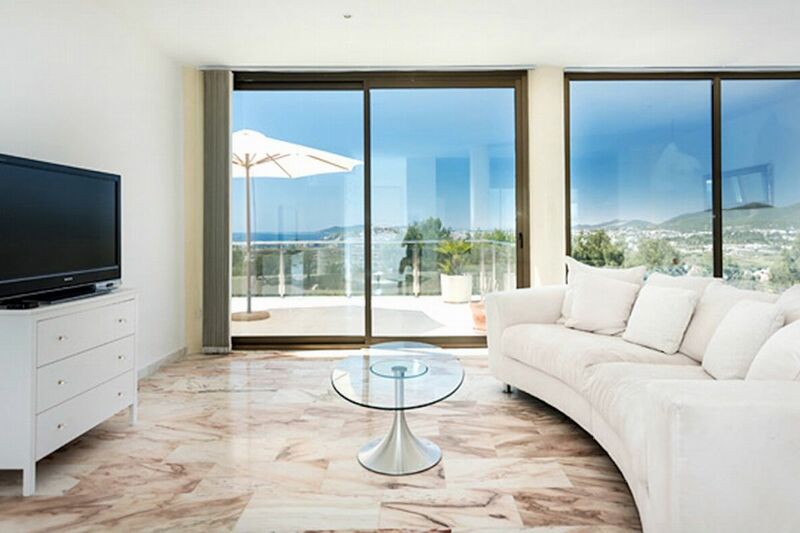 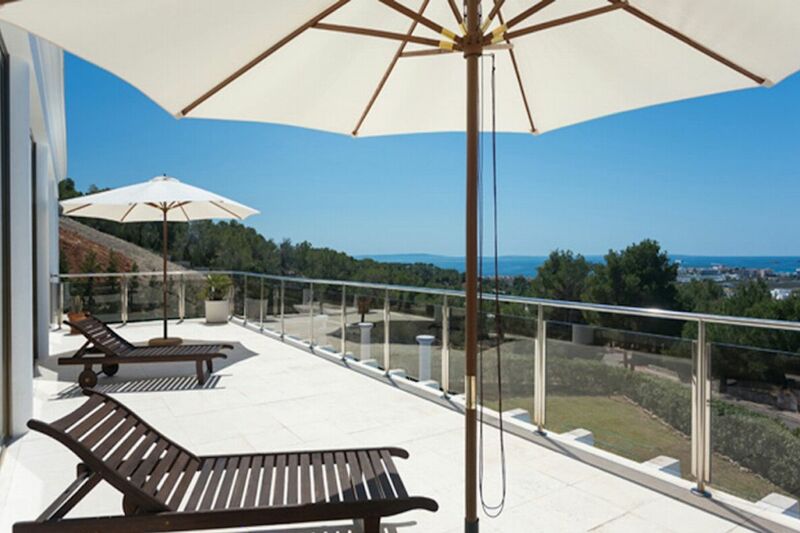 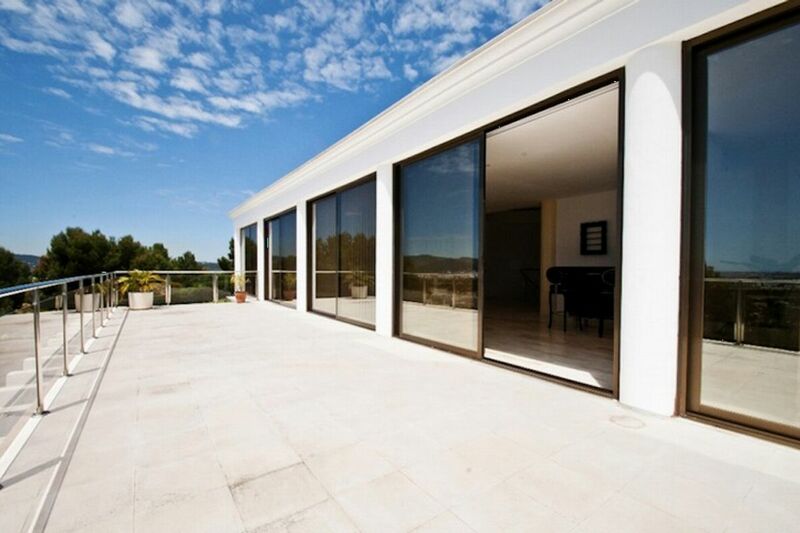 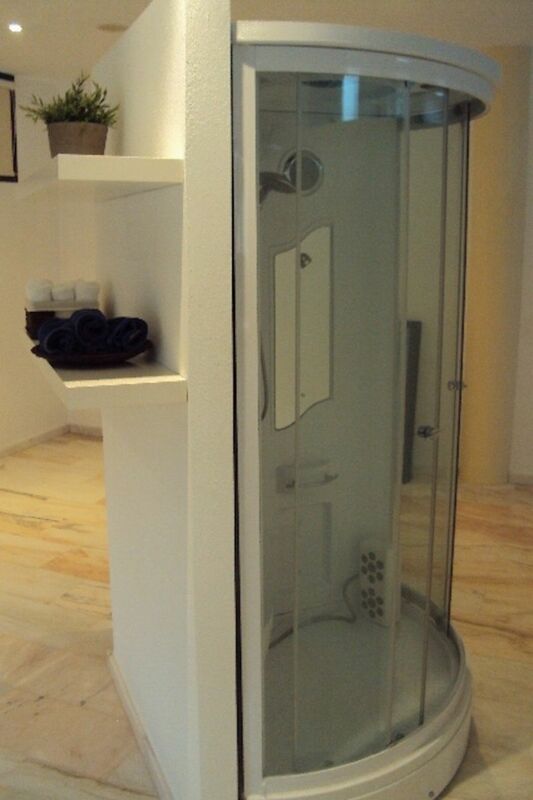 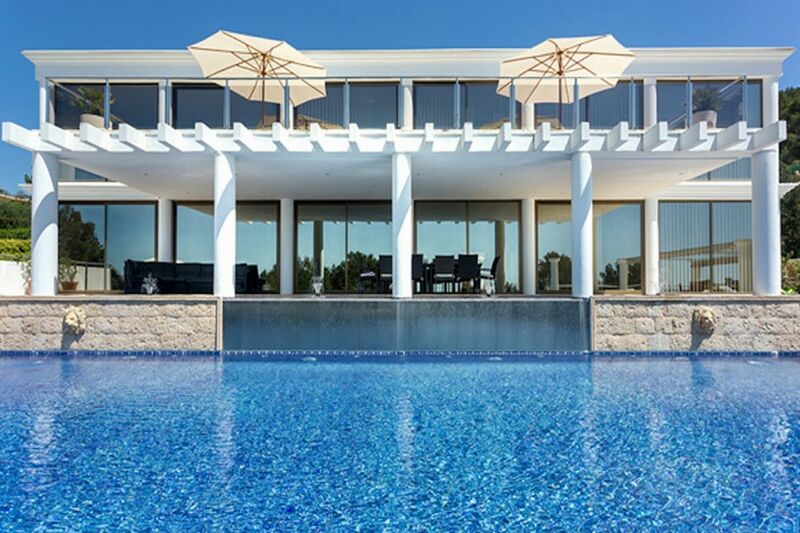 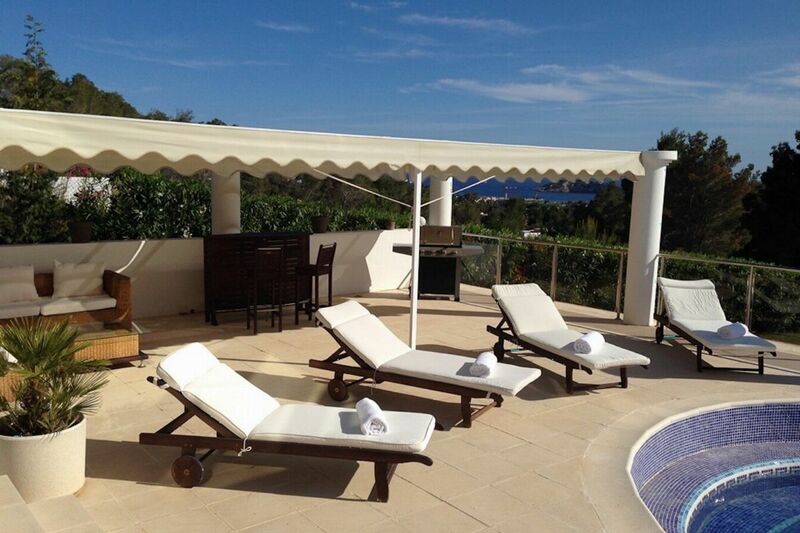 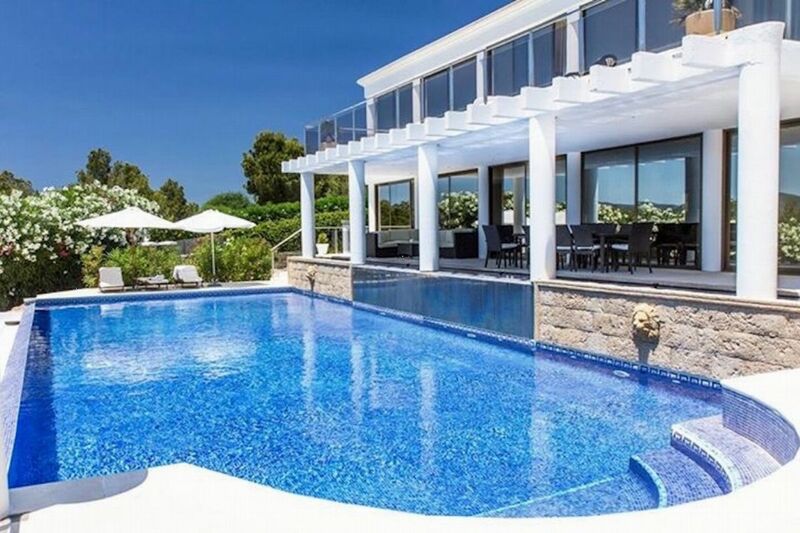 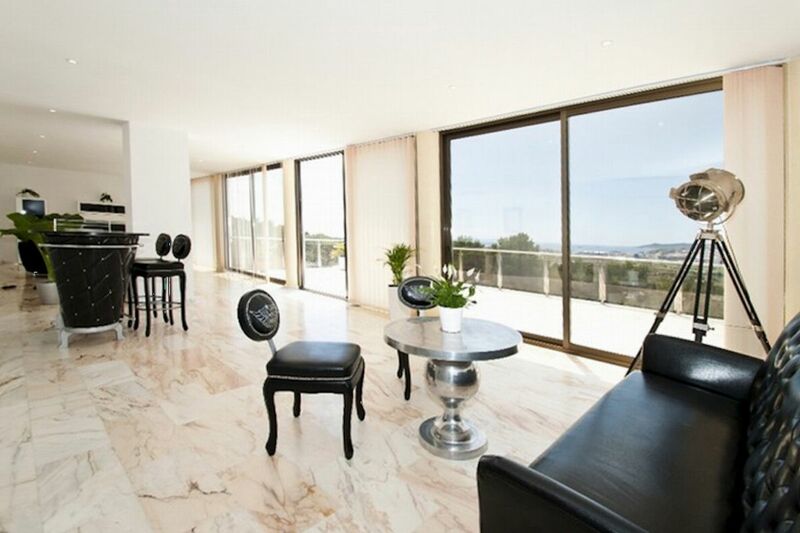 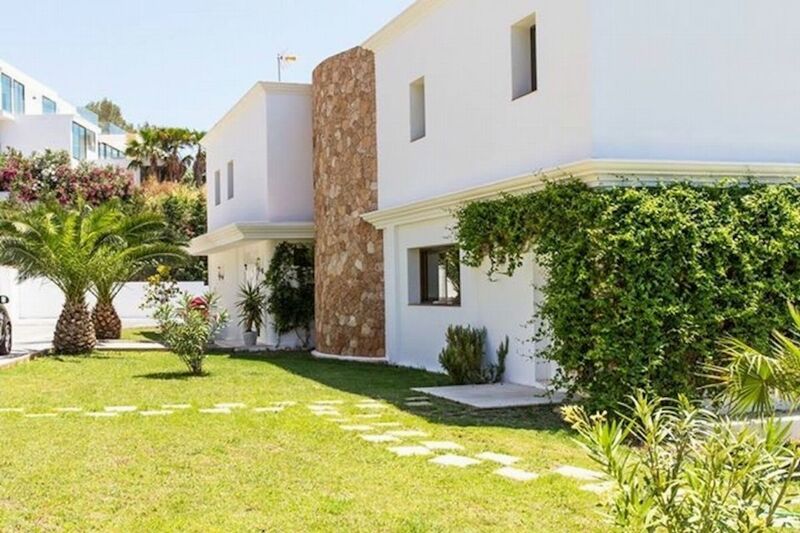 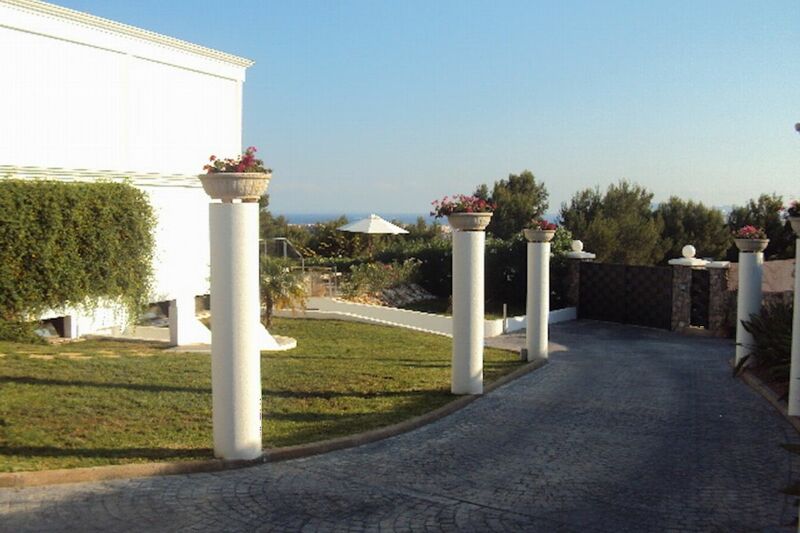 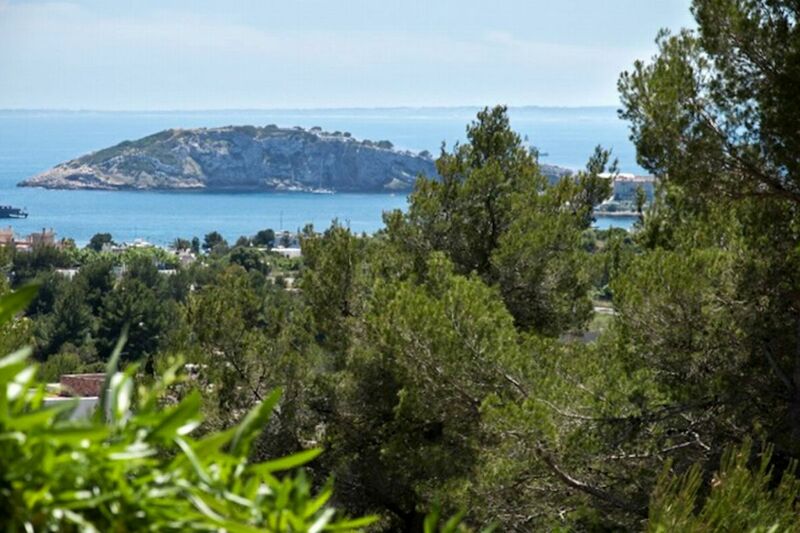 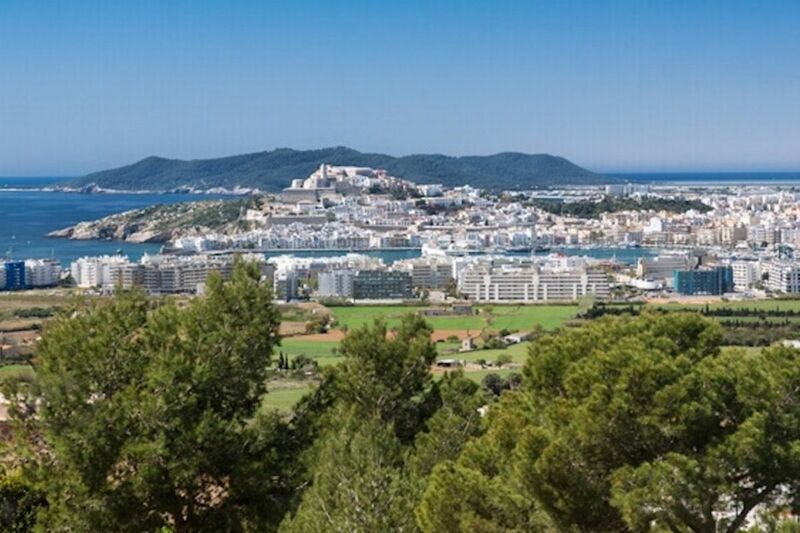 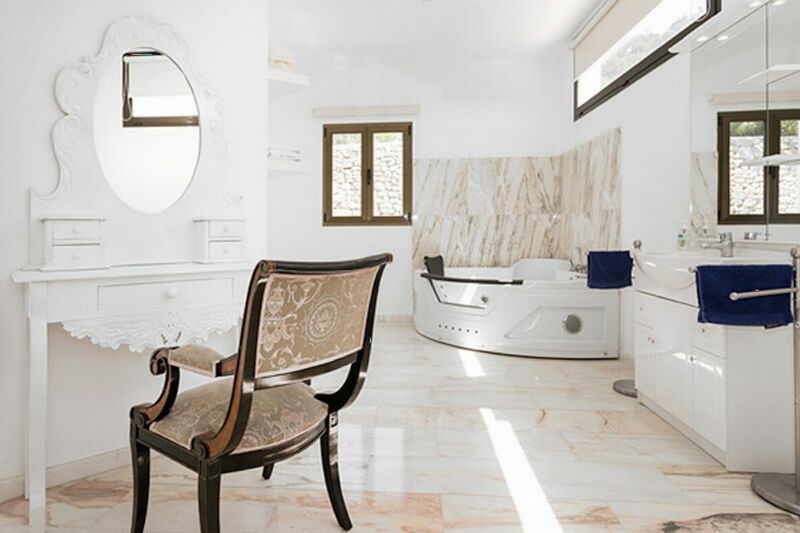 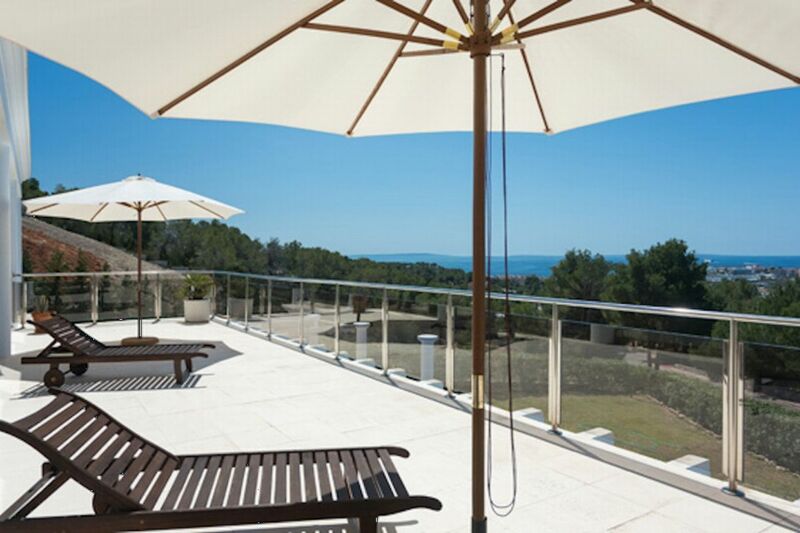 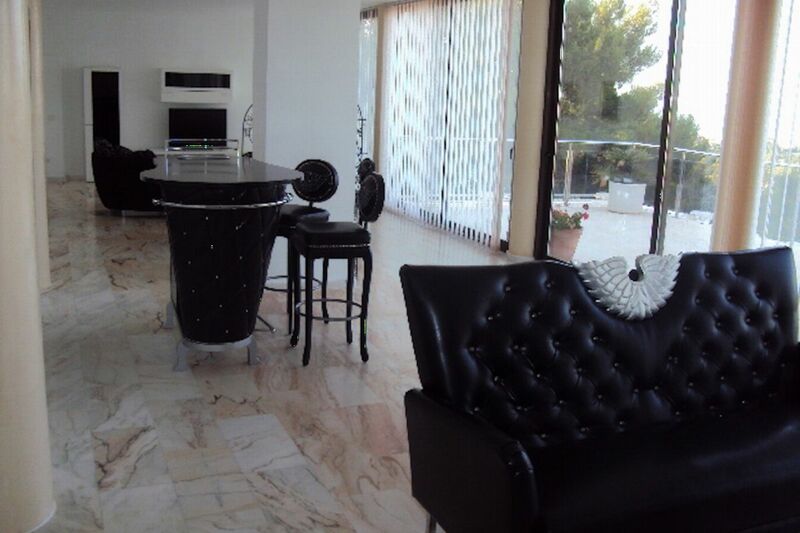 Classically designed property with amazing views and perfectly located close to Ibiza Town. 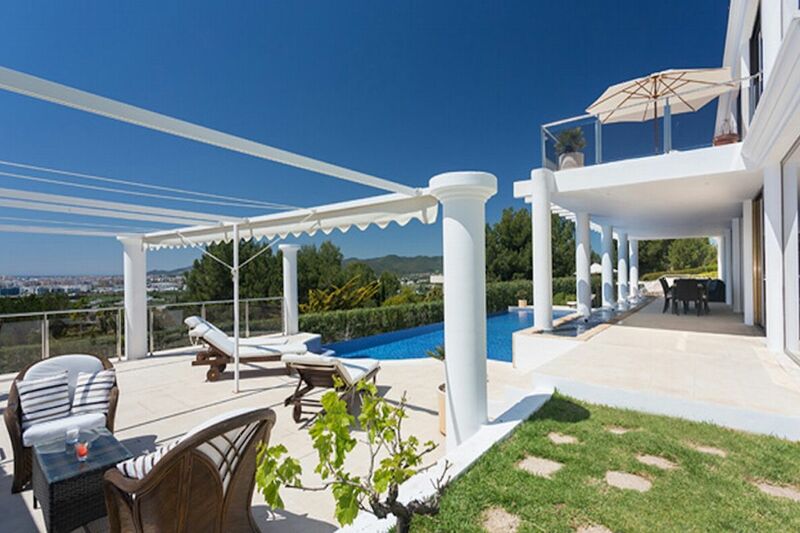 Villa Blanca boasts magnificent views to Ibiza Town and the beautiful Formentera and has a separate guest apartment next to the pool area.There is a huge pool area with several terraces where the spectacular views can be fully appreciated, an outdoor dining area with BBQ, luscious lawns and immaculately maintained gardens. 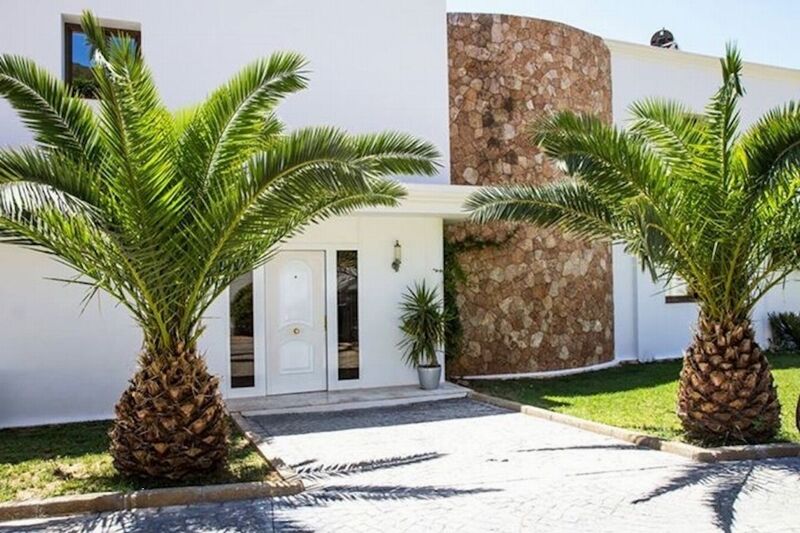 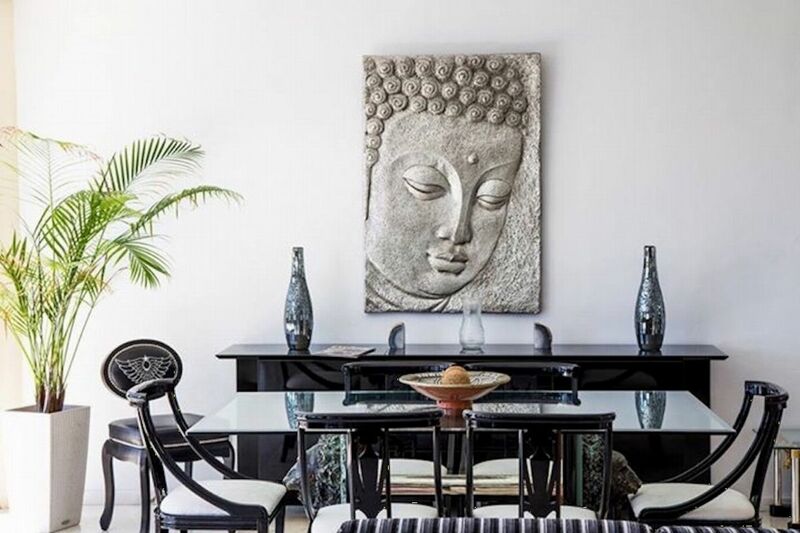 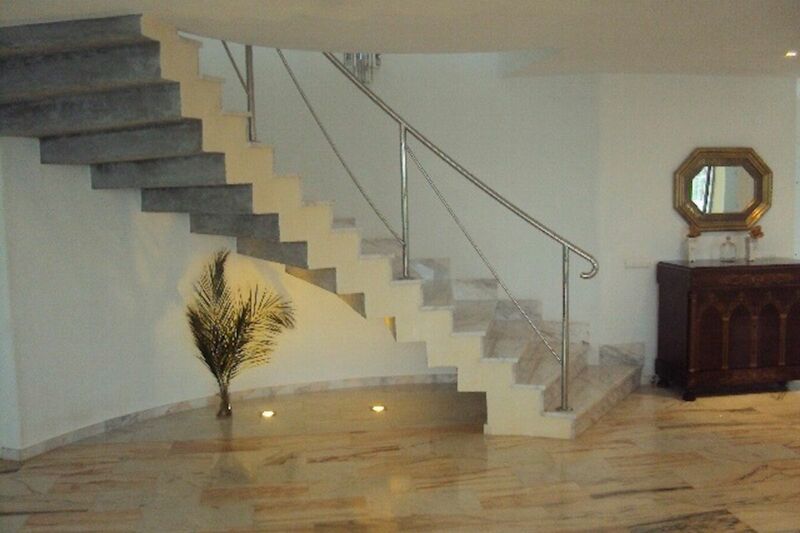 LIVING AREAS Inside, this comfortable high end villa has many features and has been decorated and furnished to the highest standard. 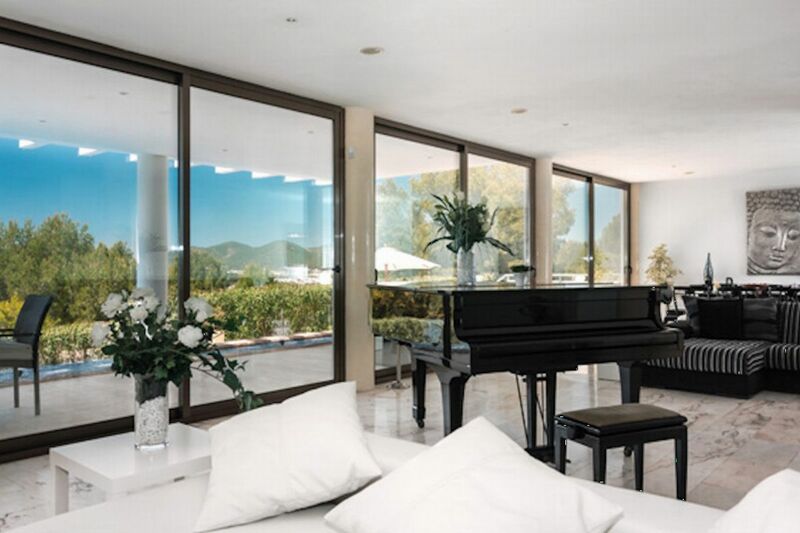 The large open plan living area includes huge floor to ceiling windows opening onto the terrace, a large dining area, a choice of spacious lounge areas with satellite TV and a large fully equipped modern kitchen. 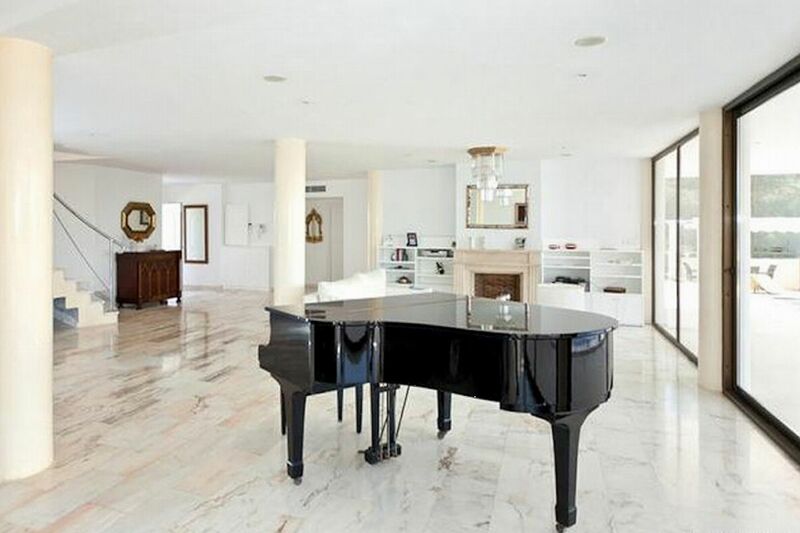 There is also a gym and a beautiful piano. 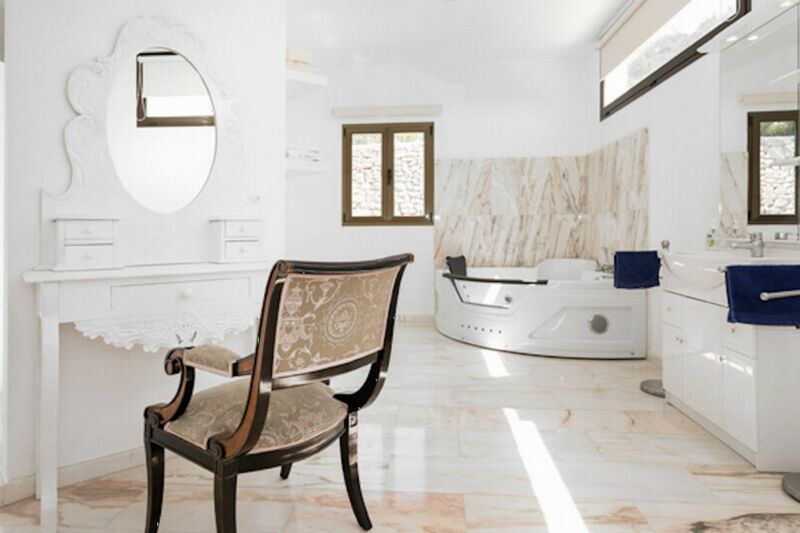 There is a beautiful separate guest house also consisting of a lounge area, a fully equipped kitchen and both properties are fully air conditioned and have access to WiFi and a sound system. 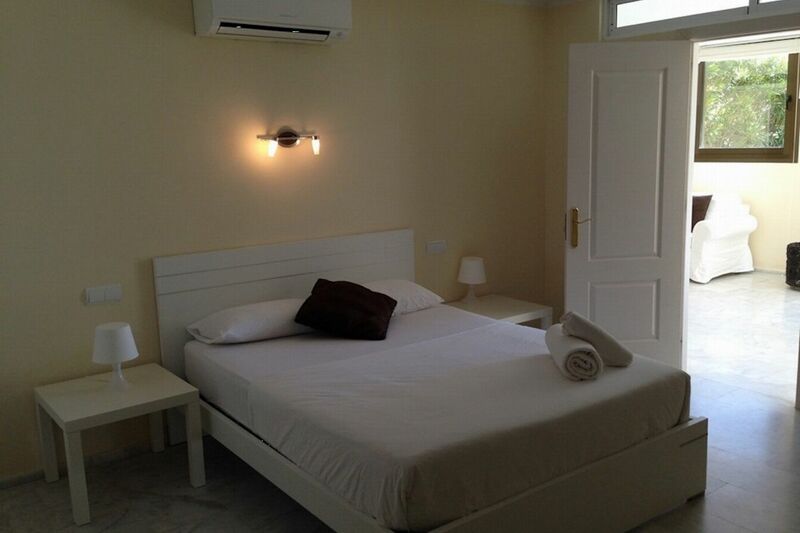 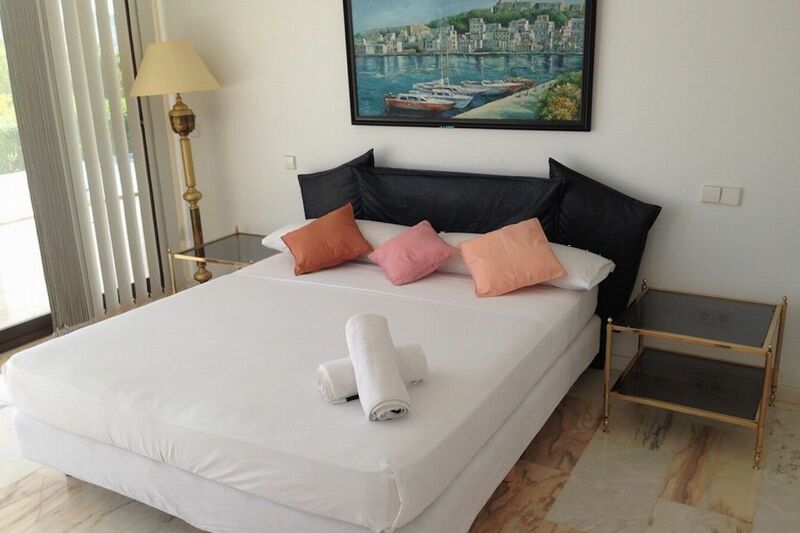 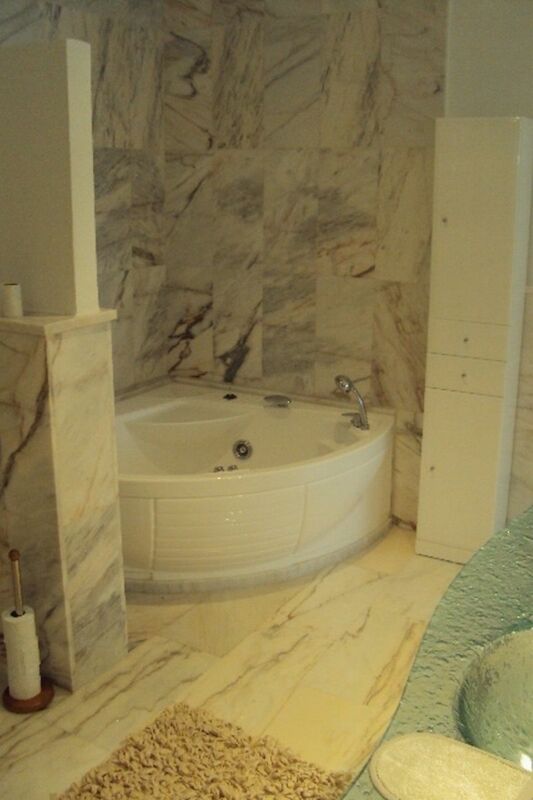 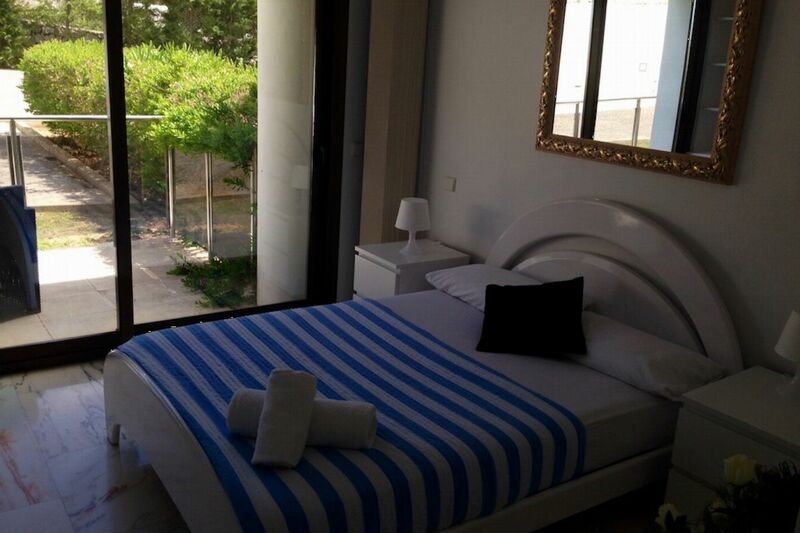 Double bedroom with air conditioning and Ensuite bathroom - In Guest House.